For the past five years, the UK’s Intellectual Property Office (IPO) has produced a study on how people in the UK access content online, including both authorized and unauthorized methods. The latest report—released earlier this month—found that consumption of infringing content online is now at the lowest point it’s been for the history of the study. One of the key factors IPO found contributing to the decline is the rise of online subscription services—particularly for music. It’s easy to see why consumers are moving to services like Spotify for their music—they’re convenient for many users and they offer good selection. When IPO asked people what would make them stop accessing content via unauthorized methods, the most popular responses were to make legal services cheaper (24%) and for them to carry all of the content consumers want (20%). IPO noted that when users choose where to get content online, legality isn’t much of a factor. Consumers look for convenience, selection, price, and quality. Simply put, listeners have moved to Spotify because they consider it the best product, legal or not. In contrast with music, infringement of films and TV shows went up slightly (though it was still minuscule compared to viewership via legal methods). Given users’ stated reasons for using infringing methods, it follows that the relatively limited selection of content on streaming video services has played a role in some consumers’ reluctance to switch to them. To be clear, we’re not cheerleading for streaming services. Most of those services lock down media in digital rights management (DRM) technology. 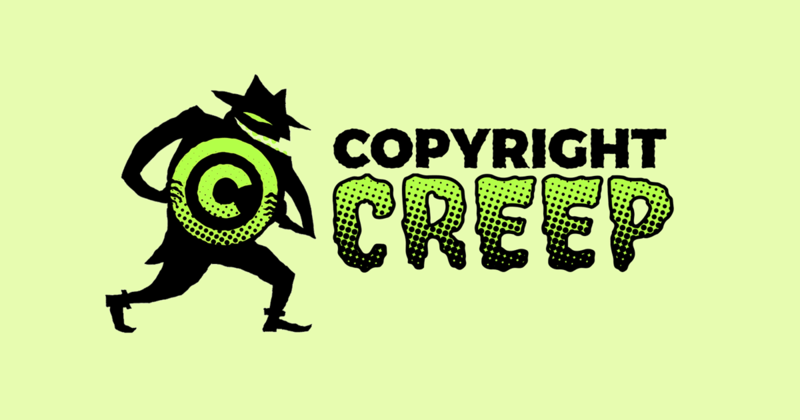 Thanks to laws in the U.S. and many other countries that make it a crime to circumvent DRM, streaming services create legal uncertainty over what consumers can do with the content they access, potentially outlawing uses that wouldn’t otherwise constitute copyright infringement. The IPO report makes it clear that users are willing to pay for authorized methods of accessing content when those methods are the most convenient. If Hollywood invested in higher quality services for sharing content with fans that didn’t rely on DRM, that would do nothing but ease consumers’ transition to them. While there might be disagreement about how the entertainment industry can create more loyal, paying customers, one thing is certain: pressuring Internet service providers to enforce copyright does very little to deter users. We’ve written several times about the Copyright Alert System—aka “Six Strikes”—a system whereby ISPs allow major entertainment companies to monitor customers’ activity for unauthorized sharing of films and TV shows. CAS launched in the US in 2013 and the UK launched a similar program in 2015. The IPO study found that these attempts by ISPs to “educate” users on copyright infringement have very little impact on users’ behavior. Only 11% of users who’d admitted to unauthorized access said that they’d be deterred if they received letters from their ISPs threatening to suspend their accounts. The Motion Picture Association of America has pressured domain name registries to agree to block websites over alleged copyright infringement. Lobbyists have proposed that the government institute a mandatory filtering regime which would require user-generated content platforms to build Content ID-style copyright bots. The cable industry has attempted to stop the FCC from bringing competition to the set-top box market, suggesting that copyright should let it control how people consume its content. Both Chile and Columbia have considered creating a new copyright-adjacent right of remuneration that creators of video works would not be able to waive, even if they wanted to.